Indian Institute of Mass Communication (IIMC), New Delhi and Queensland University of Technology (QUT), Brisbane, Australia have signed an an International Cooperation Agreement to collaborate in academic programmes and in frontier areas of research in Media and Communication. 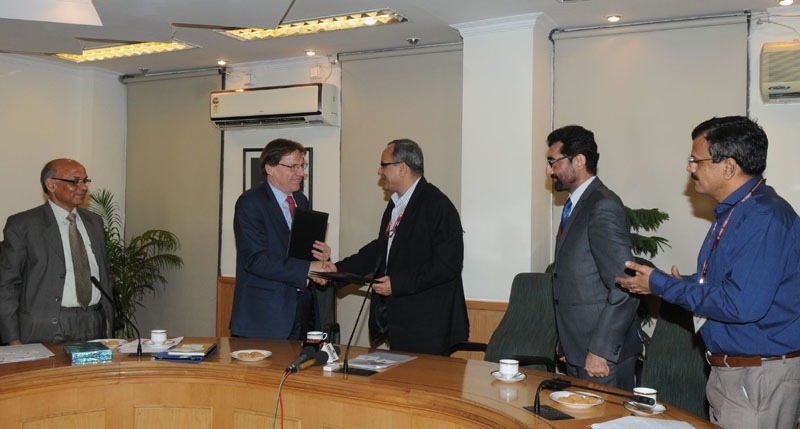 The agreement was signed by Shri Bimal Julka, IIMC Chairman and Secretary I&B Ministry and Prof. Peter Coaldrake, Vice Chancellor, Queensland University of Technology here today. The agreement envisages bringing ICT in academic programmes in a significant way. Both the institutes have agreed for the development of joint venture projects and also for opening avenues for developing a collaborative doctoral programme to benefit students and faculty. The bilateral cooperation agreement also envisages organization of joint academic and scientific activities, such as courses, conferences, seminars, symposia or lectures, exchange of staff and students and exchange of materials and publications of common interest. One of the core areas of the agreement is to facilitate Training of senior and mid-level Indian Information Service officers at the Queensland University of Technology (QUT), especially in use of modern technology and social media for providing information about government policies to stakeholders. The objective is to ensure skill development of IIS officers in critical areas of the changing media landscape. This is the first agreement signed by IIMC seeking international collaboration and partnership with a foreign university. The agreement aims to facilitate a two-way value added training and capacity building programme in the field of Mass Media & Communication. This cooperation agreement shall be valid for five (5) years from the date of signing. It shall be reviewed six (6) months prior to expiry and may be renewed for a further term by mutual agreement.